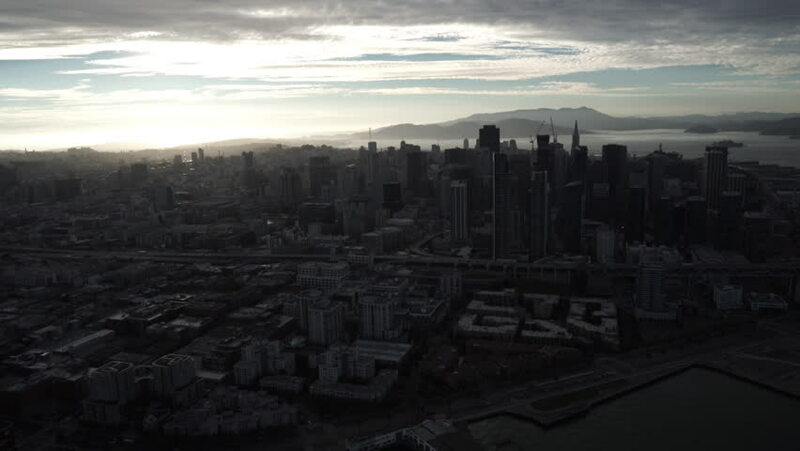 4k00:25Aerial of streets and high-rise buildings at sunrise. Summer morning cityscape from a bird's eye view. Flight over the metropolis. Sunny morning, blue sky. A lot of green trees on the streets.